Life was normal throughout the district with government offices, banks and business establishments remained open. There was good attendance in government offices. The 12-hour Assam Bandh called by several organizations in protest against the Citizenship (Amendment) Bill 2016 on Tuesday failed to make any impact in south Assam’s Hailakandi district. Life was normal throughout the district with government offices, banks and business establishments remained open. There was good attendance in government offices with the administration keeping a close tab on it. It issued a circular on Monday warning employees of disciplinary action for absence from duty on the pretext of bandh. Vehicles of all modes, including public transport plied across the district. The district administration did not take any chance and heavily deployed police, CRPF and security forces at vulnerable locations, including bus stations and markets. Control room was also set up. There was no report of any untoward incident from any part of the district. 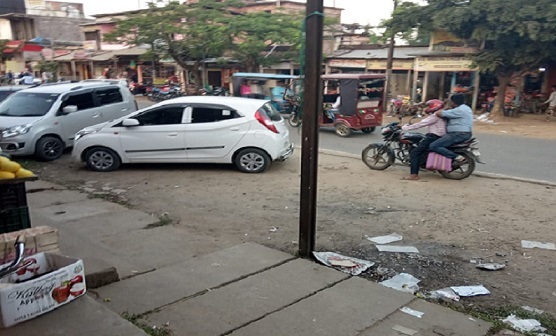 District Magistrate Adil Khan and Superintendent of Police Mohneesh Mishra closely monitored the situation to avert any untoward incident during the bandh period. The administration also went ahead with the Public Grievances Redressal Day that witnessed a good turnout of complainants. District Development Commissioner, FR Laskar conducted the PGR Day with help from senior officials of the administration and district heads.